Latest developments in technology play a very important role in today’s dynamic and fast- paced world of marketing and promotions. When you plan to hosting a unique and dynamic event, you also need to ensure, at the same time, that your audience can easily see the display of your product in midst of the huge crowd of competition. This requires you to have a flashy, eye- catching yet classy and elegant display which will help you to grab their attention. LED video screen displays are among the fastest growing promotional equipment and tools in the live production and event industries. It is quite evident that these devices are extremely necessary for any company which wants to grow its business and ensure that their brand name is recognized by the masses. But buying them outright is impossible due to the huge cost and logistical issues involved. That is why VRS Computers presents you the opportunity to rent out our huge range of LED TVs via our LED TV Rental service. LED TV rental from VRS Computers can help push your event to the next level with these marvels of modern technology. As the industry evolves and technology develops, VRS Computers products provide endless possibilities in providing solutions for all of your creative needs from carvable LED screens to almost any resolution you can image. LED video wall rental can be utilized in more than just promotional event settings. Many corporate companies are turning to rental LED screens for trade show booths, corporate events and gatherings, as well as live television broadcast and tapings. Be it integrating LED video screen rental into your current designs for your event or helping you create your show from the beginning, we have a comprehensive approach to ensure the best experience for your LED TV Rental process from the start to the finish. We understand the requirement for efficiency and low tolerance level for failure in this industry which is why 24/7 support system is always available. The manner in which you present your product or service makes a huge difference in how the market reacts to your product. With our products and control software you are given creative freedom to create the look and feel you want with little to no limitations! Our staff can help you with finding the right products and getting the most out of your budget whether it is a tour, concert or event. 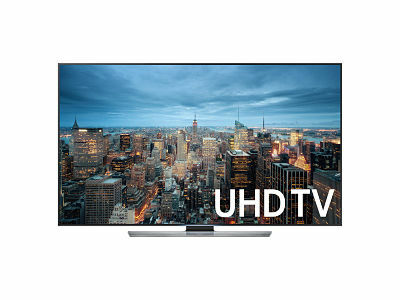 LED TV rental has never been so easy. We take personal interest in making your show a success! We also provide 24/7 technical support and qualified technicians to ensure that your rental period passes smoothly without problems. Call @ +971-55-5182748. Why Digital LED screens Rentals?